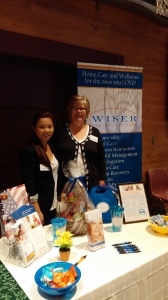 Wiser Home Care was proud to be a part of the Pierce County Alzheimer’s Caregiver Conference on September 25, 2014. 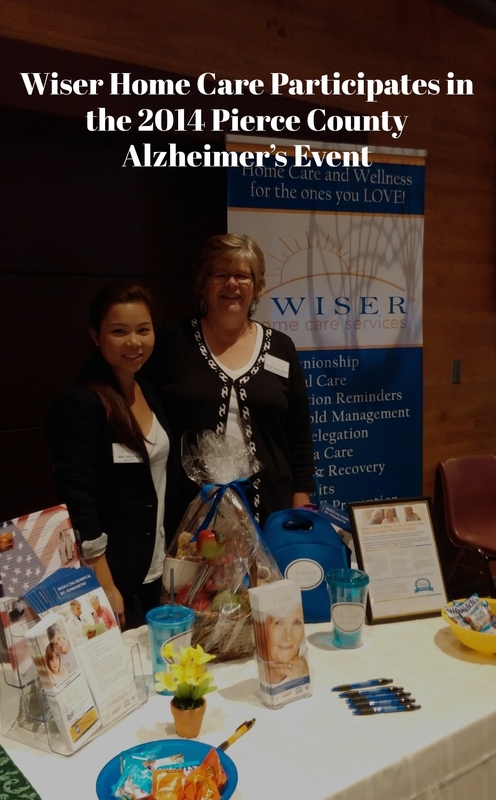 We were able to meet a number of family caregivers who give of themselves selflessly and take care of their loved ones on a daily basis. 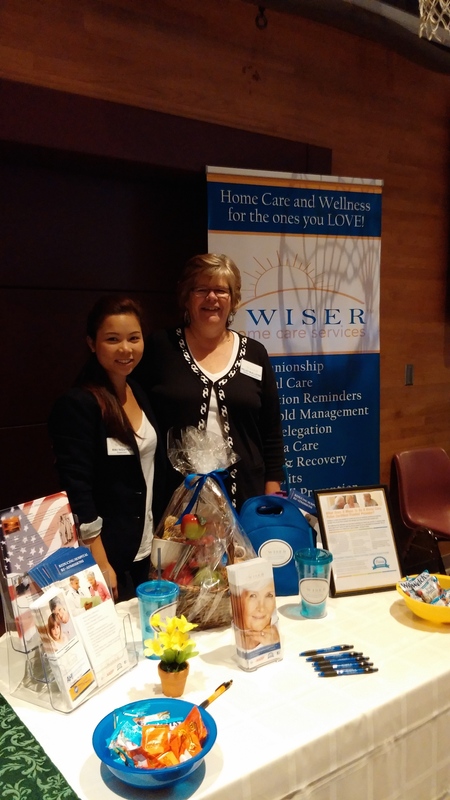 Also, we enjoyed meeting other professionals who work to provide services to caregivers, as well as those suffering with the disease within our community. We enjoyed watching the film produced by Ann Hedreen, the keynote speaker. It was her mother’s journey that her family took through the diagnosis and living with Alzheimer’s. 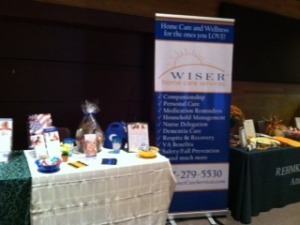 We were able to have two of our supervisors and one lead caregiver also attend the conference. I believe they enjoyed themselves and came away with knowledge they didn’t have before. I know they came away with some gifts, two of them won door prizes. One prize was a signed copy of Ann Hedreen’s new book, which I’m sure all of us will enjoy reading. We look forward to being a part of many more events in our community that help build support for our local seniors.